This telephone has been stripped down and rebuilt after each part has been cleaned and polished. 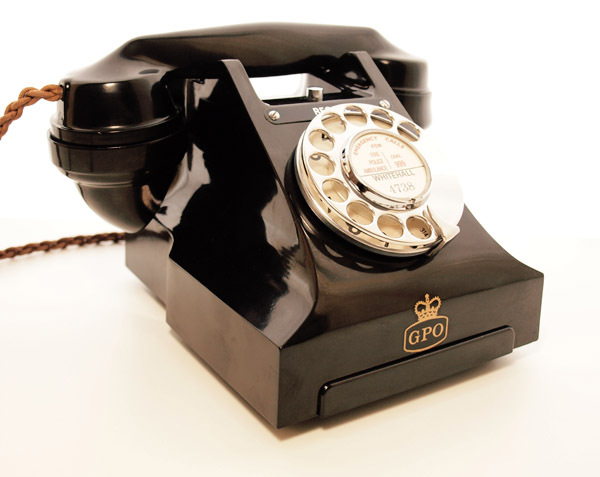 It retains its original braided handset cord and has been fitted with a GPO specification round plastic line with a UK telephone plug socket. It has also been fitted with a best quality electronic microphone to bring the speech quality up to modern standards. This is being offered at a special price due to a minor hairline crack in the handset grip which I doubt you would have seen unless pointed out. I have have left the drawer blanking plate that it came with to keep the price down. This is a truly wonderful telephone restored to the same quality as all my telephones but at £45 less than one of this model with a drawer and no imperfections. 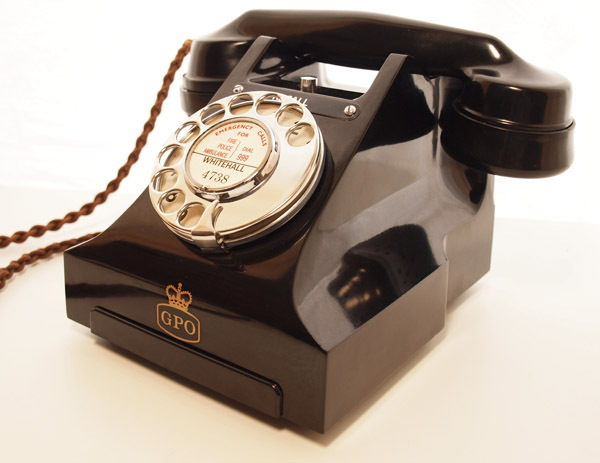 In fact the quality of the Bakelite is very good it has polished up to a wonderful shine. 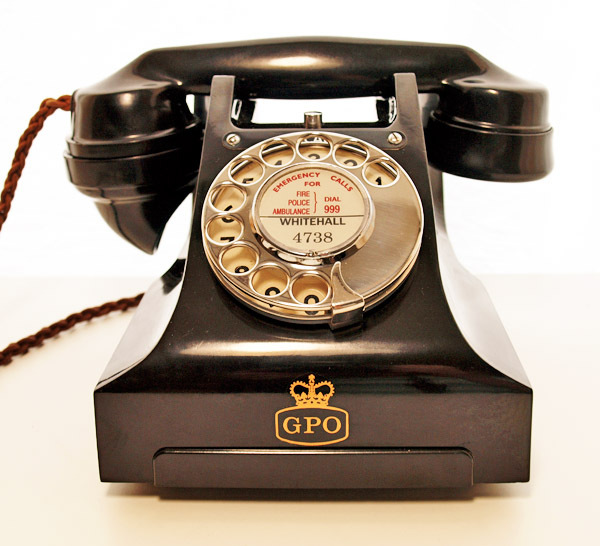 I have fitted a wonderful gold GPO decal to the front and as you can see this is a very beautiful telephone. I can fit a dial label with our information at no extra charge and it is ready to simply plug in and go. This telephone will dial out and receive perfectly.